We at DesignaVenture towers have been working our bottoms off creating a killer guide for stag parties wanting to celebrate their Stag Do in the amazing seaside (now in the Premier League) town of Bournemouth. We pulled up our sleeves, dug deep, went and knocked on some doors and created this invincible stag do guide. We have tackled issues that stags face when they go to Bournemouth for the first time, such as; what to do, where to go, what to wear, which local beers are the best, is there a casino, are there lap dancing clubs, where can we eat, how can I get there, I could go on but I won’t, there is simply just too much to cover. There is a lot of detail on the Bournemouth nightlife, giving you details on current cocktail bars, lively clubs, great eateries; whatever floats your boat we reckon we’ve covered it. But hey, what can we do in the day? Alright Eddie, keep your Bermuda shorts on, no I mean that, keep your Bermuda shorts on, this is Bournemouth not Brighton! In the day you have nearly every activity under the sun and much more (if that is all possible), from playing out on the beach, in the sea, Quading in the New Forest, shooting guns at some crazy activity site to Coasteering the Jurassic coast which include caves and breathtaking cliffs. We also include a shopping list, what to pack and if you don’t mind us patronising you more where Bournemouth is and how to get there, well you’ll need to know. We even cover festivals. Talking of festivals there’s the air festival this weekend (20th to the 23rd August 2015) featuring on Friday and Saturday an airshow by the Red Arrows. 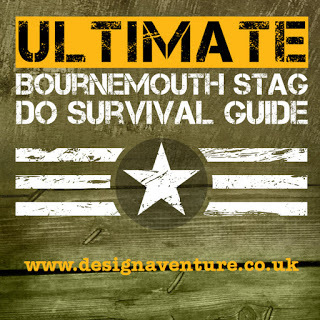 So if you are on your way to Bournemouth or you are considering having a Stag Do there, click on our Epic Survival Guide and become more knowledgable than a Bournemouth tour guide. If you just want to book a bournemouth stag do package and want me shut up you can check them out here. Danny Dyer the Katie Hopkins basher, the hard man from the East End is getting married to his childhood sweatheart next summer. According to an article in the Mirror, his best mate Kirk Norcross has spilled the beans on what he will arrange for Danny’s Stag Do, which apparently will be a night in with a Scrabble tournament. Why must I mentioned Katie Hopkins? If you didn’t know, when Jo Mas proposed to Danny, Katie Hopkins tweeted “No woman should ever propose to a man. Certainly not one with a naff bum-fluff beard and dodgy squint.” which is completely an unprovoked attack, thinking about it, maybe the Hopkins was using a cunning angle for publicity, to stay in the public eye, more cunning then a fox with binoculars! Danny tweeted back “@KTHopkins No I agree…especially when you look like ya face should be on the side of a gothic building..have a nice day ya daft sexist ya” – hilarious! Anyway back to the Stag Do, Kirk I think you have this Stag Weekend all wrong, what Danny needs is a country house hotel with a fantastic restaurant, a late well-stocked bar and a lounge area for board games. Daytime activities should be effortless such as Clay Pigeon Shooting, Archery, Crossbows, Shooting Assault Rifles that sort of thing, something which involves shooting (well he is in Eastenders after all). The evening should include a good meal, maybe some board games and then sitting up, all night, at the bar, putting the world to rights, the hotel also needs a sheltered smoking shed as apparently these boys smoke like tyres! Kirk, if you any more advice just give us a call – 01432 830880. If you have never heard of Bar before then two questions will enter your mind, who the hell is Bar and why is she called Bar? Well, I can help you with the first question but unfortunately I cannot with the second, maybe it’s short for something? OK well Bar Rafaeli is a famous underwear model for Victoria Secrets, and if you have never heard of Victoria Secrets, then I cannot help you anymore, now go away. Anyway, Bar has been posting Instagram images of her hen party with 5 of her closest mates straight from the Club Med resort on the Maldives. This idyllic holiday resort have these incredible villas which all have their very own pool, a dedicated villa host (butler, basically), steps which go straight into the sea, amazing facilities and are huge at 151 to 168 metres squared. 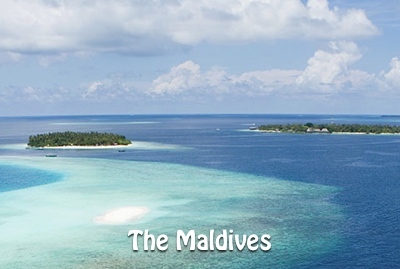 The resort itself is an island measuring 5 hectares (50,000 square metres), with 52 villas, it has several bars and restaurants and on their website states couples only? So how did this hen party get onto the island? Back to Bar, following her Instagram images she is seen doing the usual Hen Party frolics which include wearing a bright pink ‘Bride to Be’ sash, a white veil, ‘Bride to Be’ sunglasses and obviously sipping the all inclusive cocktails this amazing resort provides. And once in the Maldives you’d be mad not to go snorkelling so there’s a picture with her all dressed up ready to take the plunge into the warm Indian Ocean to see some experience some incredible under water views. The prize goes to Bar Rafaeli for the most Lavish hen party ‘so far’ this year. Fancy A Greek Island As A Wedding Present? If you’re Ronaldo’s* agent, you’re a lucky man, you have just woken up to an amazing wedding present; you’re star footballer has just bought you a Greek Island! I mean c-mon, a fricking Greek Island! That would have put back Ronaldo by about 3+ million Euros, I mean that’s a whole month’s salary for the poor fella. The Greek Islands are loved by Ronaldo who usually takes an annual holiday to the Island of Mykonos every year, so to share his love of this gorgeous part of the world he thought he would buy his agent a part of it. 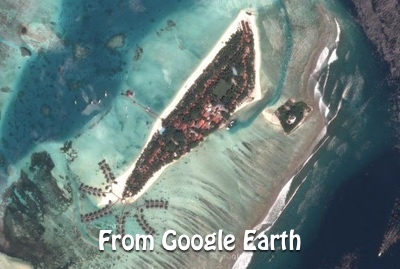 You can purchase islands all over the world from loads of various websites, Private Islands Online is apparently where Ronaldo bought this lavish wedding present. Now if you are stuck for a wedding present and don’t know what to get them, how about an island! 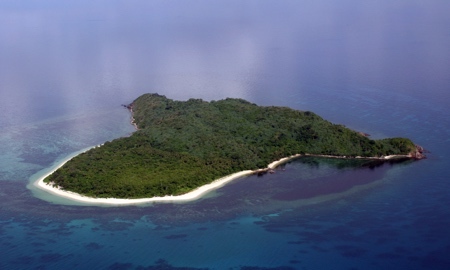 You can buy an Island these days for less than £100,000, however, buying an Island and inhabiting an Island are two different dreams, you will need to get running water, get some sort of electricity (you don’t want to be living in the dark ages, do you?) and it must be easily accessible; have you not seen the Island with Bear Grylls on ITV? If you don’t have the money for an Island you can always head over to Pinterest, where Men are pinning their whole dream wedding including their wedding presents on their boards, now apparently and I use the word “apparently” with great care here, some of these men have not even found a girlfriend yet. What kind of world are we living in, quick, I need to get to the 4th rock from the Sun and live a life of solitude there! *If you didn’t know, Ronaldo is a famous Portuguese international footballer, who also plays for Real Madrid.